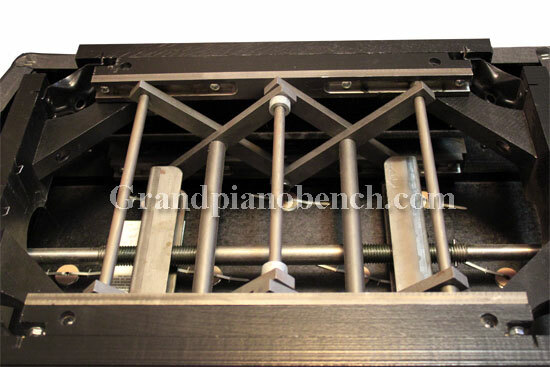 The Jansen Artist Bench is the highest quality artist bench on the market, bar-none. 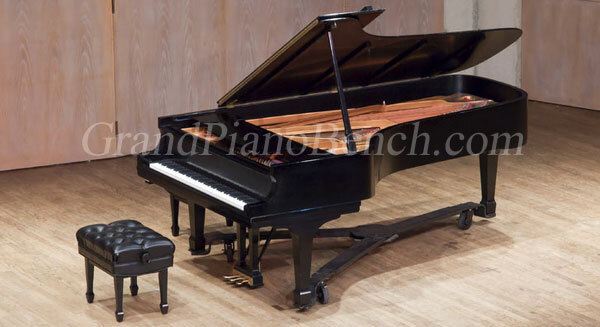 Their superior quality in every aspect is why Steinway Pianos contracts Jansen to manufacture their artist benches (Baldwin and Yamaha as well use Jansen). 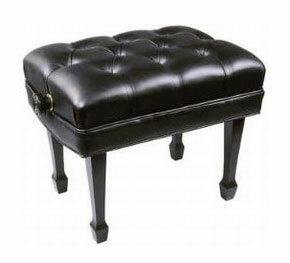 Found in concert halls around the world, this is the bench you want for your grand piano. 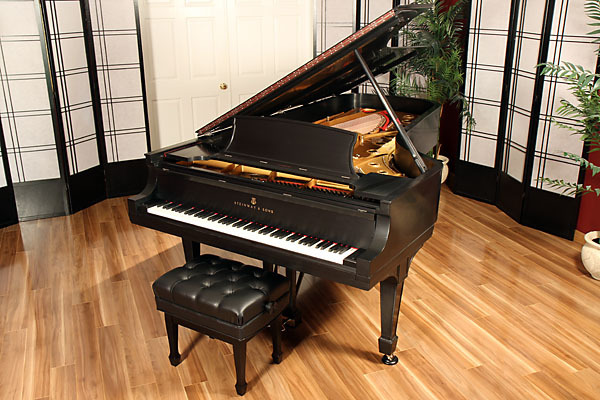 The Steinway finish is an option provided by Jansen for owners of black satin Steinway pianos; it is only available in the black satin option. 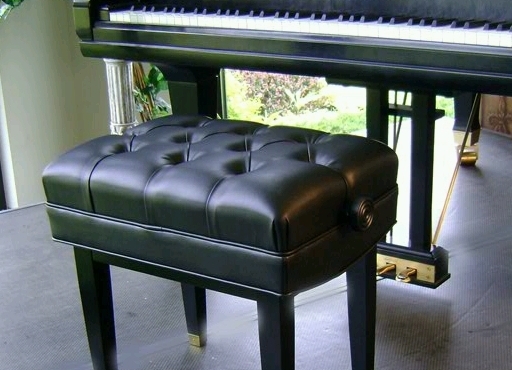 The Steinway ebony satin finish could be described as "flatter" than a standard black satin finish, so Jansen uses a Steinway rub to closer match the finish. Solid Steel Adjustable Lift Mechanism will not break down over time. Designed for years and years of continuous use. By far the best adjustment mechanism on the market today.